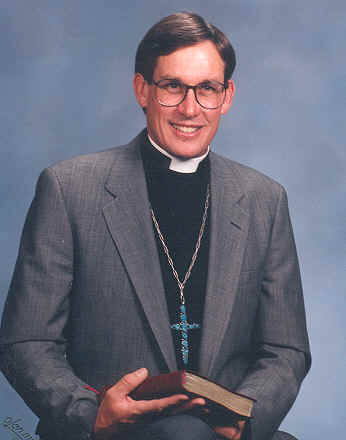 The Reverend David L. Hunting, is an ordained clergyman in the United Church of Christ. His undergraduate degree was completed at Northern Arizona University and his Masters of Divinity at the Pacific School of Religion in Berkeley, California. He has served both large and small churches for more than twenty years. His current call to this congregation he sees as, "being the right size for a friendly family of faith!" Dave brings to the pulpit a style of preaching that is both professional and personal. His faith is grounded in the great words of the Gospel and reflects a ministry of support for the congregation and service to the wider community. Dave lives with his wife, two children and a big yellow Labrador retriever in Manitou Springs.